Smartphones With the Largest Screens: Have We Reached the Breaking Point Yet? One of the biggest news of the last two days is the release of yet another smartphone in the Samsung Galaxy family, a phone of no especial features, with 720p 233ppi TFT screen, Android Jelly Bean, 1.5 GB RAM, 8/16 GB internal storage, Exynos 5 1.7 GHz dual-core processor, etc. The smartphone, known as Galaxy Mega is peculiar due to its screen size, of 6.3 inches, which makes it the mammoth of the smartphone market. Samsung was the first manufacturer to lead the way to phones of unusually large screen sizes. Soon enough, other manufacturers followed, and some even managed to go a few steps further. Is this rat race for large screen sizes come to an end? Is it time for customers to really think about the display technology, rather than the screen size? Let’s find out. The year was 2011 and the place, Berlin, home to the Berlin Radio Show. Samsung announced a legendary product in its Galaxy family of devices—the Galaxy Note. The product is in its second generation now, with sales going up continuously. It is one of the most successful products from Samsung, and the most successful among the so called ‘phablets’. Note came out almost a year after the first device to mark large screen revolution, Dell Streak, which did not sell well largely due to the cumbersome nature of its form factor. Note, however, changed the story altogether, by becoming highly successful. 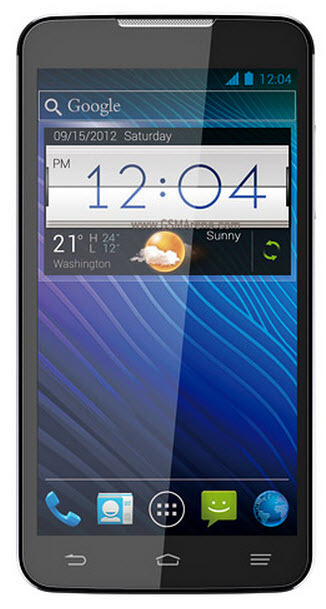 Note II is also well received, although we would love to wait. Note family has spawned a whole number of phablets, which was a new term applied to devices between phones and tablets (specifically, between 5 and 7 inches of screen size). 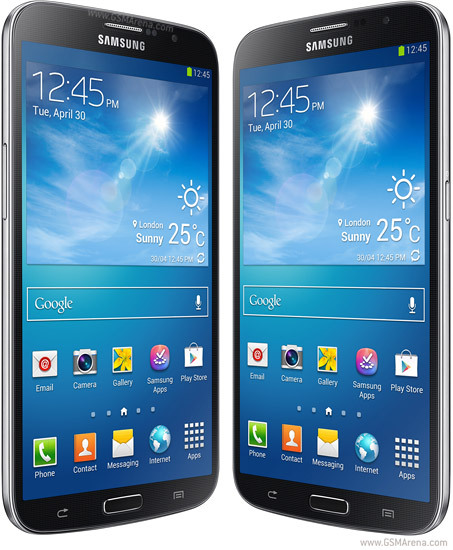 Galaxy Mega, by that reasoning, is a perfect phablet. In the last few years marking the revolution of touch-based devices—smartphones, phablets, and tablets—we have seen that the devices have touched all screen sizes. We have a whole array of phones and tablets with screens going from 4 to 10 inches. We have the legendary Apple iPhone at the sixth generation now with a screen size of 4 inches, the smallest of all devices in high-end mainstream production. We have BlackBerry Z10 with 4.2 inch screen, Nokia Lumia 920 with 4.5 inch screen, HTC One at 4.7 inch screen, Galaxy S3 at 4.8 inches, and S4 at 4.99 inches. This is the array of smartphones having all kind of screen sizes. After this, we have phablets—LG Optimus G at 5 inch, Note II at 5.5 inches, and now Galaxy Mega at two different screen sizes—5.8 inch and 6.3 inches. Beyond that, we enter into the tablet market, dominated by Google Nexus 7 with 7 inch screen, iPad Mini with 7.9 inch screen, etc., and the list goes up to Nexus 10 with close to 10 inch screen. Right now, the only size that we expect to be filled is between 6.3 inches and 7 inches. 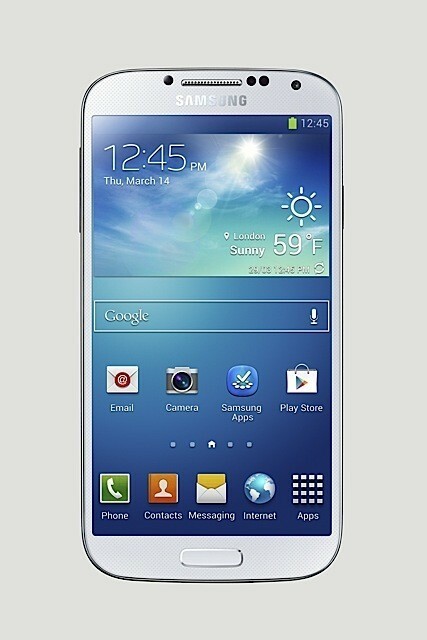 Maybe, Samsung will come up with another phablet with some 6.8 inch screen to fill that void. The crux of the matter is that we have reached an impasse. Any other screen size probably is not going to make any difference. You can safely put away the search for a fitting phone with large screen size. Another important question here is, how do screen size and screen quality correlate? Galaxy Mega has a 6.3 inch TFT screen, but it supports only 720p HD resolution, which is smaller than 1080p full HD on Galaxy S4 and HTC One. Accordingly, it has close to half as many pixels as in Galaxy S4. 233 ppi is not a very rich screen, in comparison to GS4’s 441 ppi or iPhone 5’s 326 ppi. Another important aspect to consider is the technology used in the display in question. There are quite a number of smartphone display technologies out there, and you should know which your phone uses. Super AMOLED and LCD IPS are two of the most prominent. While most of the Samsung devices have Super AMOLED HD display, iPhone and most of the other smartphones come with LCD with In-Plane Switching technology. There are a few differences between AMOLED and IPS. A year ago, if you needed a smartphone of enormous display size, you probably had only one or two options, but now you can get a number of phones from all manufacturers at all convenient display sizes. The crux of the matter here is, you should consider the display technology used, including the brightness, contrast ratio, resolution, etc., now that you can get smartphones of all display sizes. As we noted early, Dell Streak started the revolution, although it was not part of it. Note won the revolution, and following its success a number of phones and tablets came out with extra-large display sizes. A few of them are here. Upcoming Galaxy S4 marks Galaxy S family’s largest smartphone, at 4.99 inches. 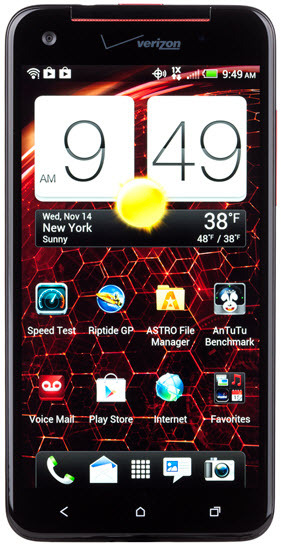 Popular Droid DNA has super bright 1080p full HD display using LCD3 technology. It’s available from Verizon, and outside Verizon it takes the shape of J Butterfly. Xperia Z is this year’s Sony flagship with 5 inch screen. It is waterproof as well. 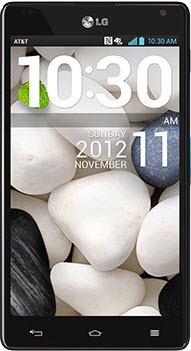 Optimus G is the most advanced smartphone from LG and it has the same tech specs as its brother, Google Nexus 4, also manufactured by LG. This is a 5 inch phablet from Asus. It should not be confused with Asus FonePad, which is a 7 inch tablet with phone call capabilities. On an unrelated note, neither FonePad nor PadFone is named right. 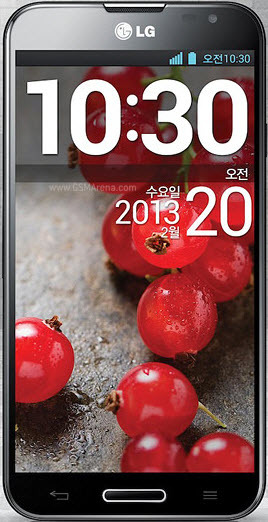 Upcoming LG Optimus G Pro is a classic phablet with some pretty decent specifications. You know Samsung wants to make a larger phone whenever a phablet of large screen gets released, right? 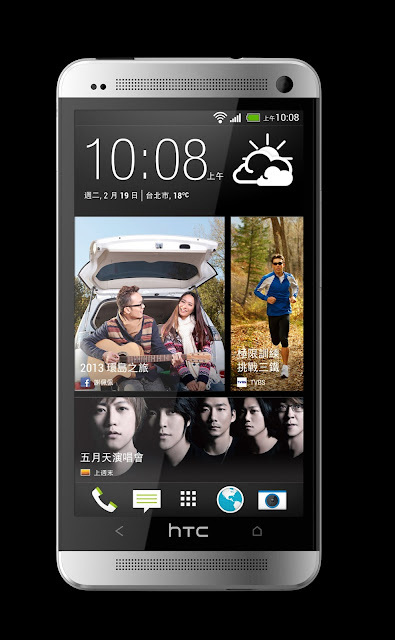 We saw it in action with Dell Streak earlier, and we saw it again with Ascend Mate from Huawei. 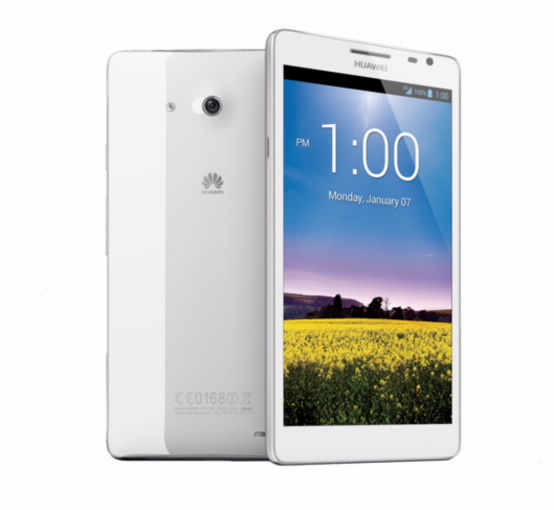 The phablet with 6.1 inch screen was officially unveiled in CES this year. These are only a few worth mentioning in a sea of large screen phones. One of the important things that I look for in a smartphone is how convenient it is to take it with me. A phone is a portable device, and it should be portable. Usually phablets are neither portable nor good enough for some serious work. If you want a phone, the perfect size should be five inches or less, as long as the design is compact enough to be carried around in your pocket. 4.8 inch Galaxy S3 fits well in your pocket and with the same size as that, Galaxy S4 will also fit perfectly. S4 is also thinner than S3. HTC One looks good and has a pretty correct form factor for even tight-fitting pants. As long as the manufacturers keep the size of the phone proper, fitting well in all kinds of pockets, the screen size can be tweaked. On the other hand, making devices around screen size is not a good design technique. This is the reason why I would not recommend devices larger than the Note II at 5.5 inches. Due to the same reason, Galaxy Mega is not a product that we are excited about, not to mention the substandard tech specs. Galaxy Mega and such other large phablets actually don’t give you any better user experience than a regular smartphone. They may only confuse you by making you think whether you could have chosen a small tablet instead. Nexus 7 would be perfect in place of Galaxy Mega. Hence, any product larger than 5 inches or at the most 5.5 inches qualifies as overkill and you needn’t be excited about it.